Our community has 3,116 members, 516 online now. We’ve published 9,770 stories, shared 8,318 images, made 10,342 blog posts and written 121,542 forum posts. Every soul is living a life as vivid and as complex as my own. There is an infinitesimal line between love and hate. Sacred dreaming, and restless sleeping. The kinds of things that keep you thinking. First hint of day glows through the blind or window shade. When eyelids open, they again open to this world of hostilities. ...makes anyone want to die in the battle. 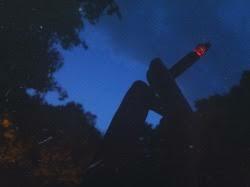 Walking outside, I light another cigarette. I replay my life and everything I've dreamed. There is such a minute line between love and hate. These dreams, aren't so intimate anymore. And I look toward the cigarette as a provider. A supplier, a denier, a reliever. Sparking the ash ablaze with another drag. Looking within for answers, but they don't always come. Looking out to the stars in all their glory. Wondering, what was it that led me this way? Holding onto cancer, I inhale the smoke. So much has been seen through the cloud flowing from these lips. Re-examine that fine line between love and hate? Tonight, let's have it just you and me. Spiritually dreaming, and restfully sleeping. The kinds of things that keep one thinking. Or is this the resolution? I recognize that fine line between love and hate.